8x10 film negative, originally from the Wyland Stanley collection. 1939. "General Motors exhibit, Golden Gate International Exposition, San Francisco. 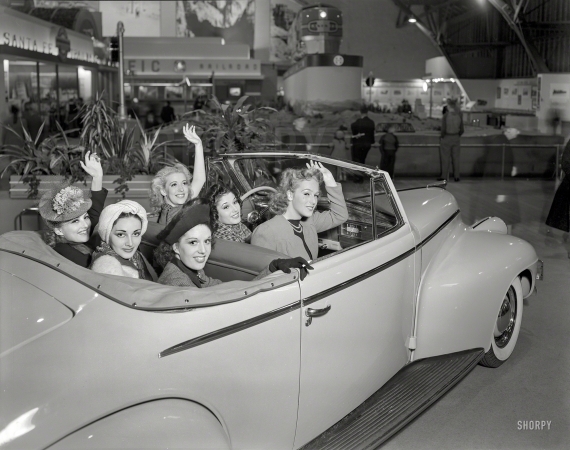 Girls in Oldsmobile convertible coupe."